The longest-running joke in politics is the utter cluelessness of most Leftists - and elected Democrats. Thanks to the wonderment of the free market Internet, the catalogue of examples of this are just a Web search away - and are near limitless in number. At the height of Bernie Sanders mania, the maniacs were regularly asked basic questions about the socialism they were championing. Their responses were mind-numbingly stupid. Think Hillary Clinton supporters were any better? Think again. Asked to name “The Most Accomplished Person Ever to Run for the Presidency (TM)”’s top accomplishments - her supporters were time and again left speechless. Although in their defense, their champion was also routinely unable to name any herself. And President Barack Obama - off the teleprompter - was…less than impressive. Speaking of elected officials, some of the most ridiculous assertions ever made come therefrom. Years ago, Texas Representative Sheila Jackson Lee was in NASA Headquarters in her home city of Houston watching it do its thing with the Mars Rover - the camera-equipped vehicle we regularly drop on the Red Planet. Befuddled, she asked...why it wasn’t driven over to show us where our astronauts planted the United States flag. Ummm, that was the Moon, Representative. Then - the magic happened. The Congressman...revealed why he was asking: “My fear is that the whole island will become so overly populated - that it will tip over and capsize.” As he said this he leaned his entire body above his seated waist over to his left, and moved his right hand over his left hand - so as to physically demonstrate his feared fanciful outcome. It’s all right there in the linked video. So too is an amused, bemused Admiral Willard gently, generously responding “We don’t anticipate that.” No indeed we do not. So if Democrats can’t handle thoughts as rudimentary as these - imagine what happens when confronted with things that are actually ever-so-slightly complicated. Like Tech issues - particularly those pertaining to the wonderment that is the free market Internet. If you’d like to see a wonderful juxtaposition of elected officials on the ridiculous government power grab known as Internet Reclassification - a massive new government regulatory regime imposed so as to then impose ridiculous government policies like Network Neutrality - watch (clipped back-to-back here) Minnesota Democrat Senator Al Franken and Texas Republican Senator Ted Cruz. It’s embarrassing how bad Franken is at trying to apply lipstick to this particular pig. Even on an uber-friendly venue like CNN. The venalities and lies Franken tosses out there are so thin - as to be patently absurd. Too absurd even for CNN’s uber-friendly Candy Crowley. 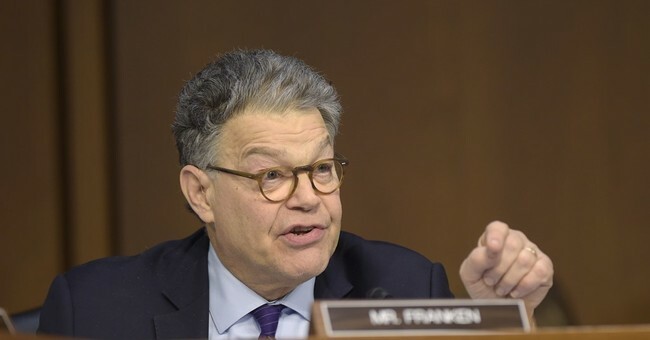 Nevertheless, Franken is held up as one of the Democrats’ leading lights on Tech policy. The Leftist Tech activist class LOVE him - and cite him incessantly. Only…not so much with the guiding illumination. So when the Democratic Party decides to make a Tech issue an all-hands-on-deck major talking point - they are flirting with intellectual disaster. Yet they have done exactly that. Here comes their Easter recess attempted push back against the Republican Party rollback of an eleventh-hour Obama administration crony power grab. It’s disingenuous shorthand is “privacy.” What it actually was - was the Obama administration giving Google and other cronies yet another massive policy favoritism. Obama nigh-outlawed-by-fiat Internet Service Providers (ISPs) engaging in data collection and sale thereof. Which is but a tiny fraction of ISPs’ business model. But it is 98+% of how Google built its $500+ billion business. Oh - and of course, the new “privacy” regulations didn’t apply to Google. Everything the Democrats excoriate the ISPs for doing on a tiny scale to a tiny degree - they and the Obama administration allowed and continue to allow Google to do on a scale exponentially, quantum-ly, intergalactically huger than all the ISPs combined and quadrupled. Because Google cuts so many Democrats so many massive checks. Thankfully, the Republican Party undid this “privacy” nonsense before it ever went into effect. So the Democrat Leaders have decided to send their rank-and-file home for Easter recess - to lie about it to their constituents. And since Donkeys are undeniably, unbelievably awful at discussing even the rudimentary (like whether or not islands actually “tip over and capsize”) - Democrat Leaders deemed it imperative they provide their rank-and-file with hand-holding, insert-your-name-here, all-encompassing assistance - in pushing their “privacy” lie. Behold the Democrat Leaders’ cheat sheet documents. One included a 99+% written-for-Hill-Democrats press release - for any events they’d like to have in their districts. The only blanks on the entire page are where you would identify the type of event held (town hall, etc.) - and wherever the Member’s name should go. And to make absolutely sure the Members didn't miss any blanks, they are in all capital letters - and highlighted in neon yellow. Can’t be too safe. What follows the world’s-worst-Mad-Libs press release - are talking points just as venal and dishonest as those the likes of Senator Franken routinely spout. Because that’s all they actually have. The Dear Leaders also provided a venal and dishonest Power Point slide. Because for this crowd, less words and more visual aides is a very good thing. So going forward, when anyone trumpets these “organic” Democrat “privacy” town halls with the “organic” groundswell of “grassroots” energy and opposition, please remember: They were all - WELL in advance - top-down planned out to the fill-in-the-blank letter. The Democratic Party - where freedom, intelligence, honesty, integrity and spontaneity all go to die.